In some ways, the civil service is very different to corporate organisations. And in other ways, it’s very much the same. 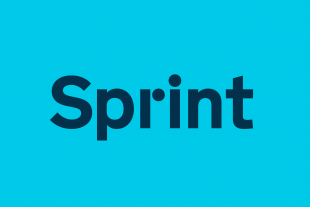 Most of our time is spent building secure digital services for citizens starting from data. Just like people in almost any large organisation, civil servants have to go through induction and training courses, do performance management reviews, claim expenses, and sometimes move from one civil service job to another. All of those things require a certain amount of management, which of course comes with inevitable paperwork. Right now, that management happens in lots of different ways. Sometimes it’s wrapped up in some sort of database or information management system, and other times it’s just documents that sit on people’s computers and get emailed from one person to the next. Basic tasks like this shouldn’t be difficult or time-consuming, but at the moment they are. It takes up much more time than it should. Civil servants, just like people in other sectors, should be able to focus on the work they were hired to do, and not spend hours and hours on the bureaucracy that surrounds it. In recent months, a small team based at GDS has been running a discovery, looking at the tools civil servants use to get all these tasks done. They started with user needs, because civil servants are users too. They talked to, listened to, and observed some civil servants in different roles and departments about their experiences of using various services to do things like apply for jobs, book meeting rooms and record training. They heard people’s frustrations, and developed an understanding of their needs. Then they started to build a prototype. It’s built as a platform: a common, shared technical infrastructure that can be used across government. That means departments can use different ways of meeting the needs of their users, while being confident their services will talk to other services in different departments. It’s not designed to replace any of the large systems many departments depend on for complex interactions like payroll management, but it is designed to change how data is passed in and out of those systems to make them easier for civil servants to use. That will make it easier not just to find the right contact details for someone, but also to find the right person to contact, wherever they are in the civil service. There’s a lot of work to be done to take this project further. GDS isn’t looking to do everything - we can’t, and we don’t want to build everything centrally. So we’re working with others to take the next step from discovery to alpha. 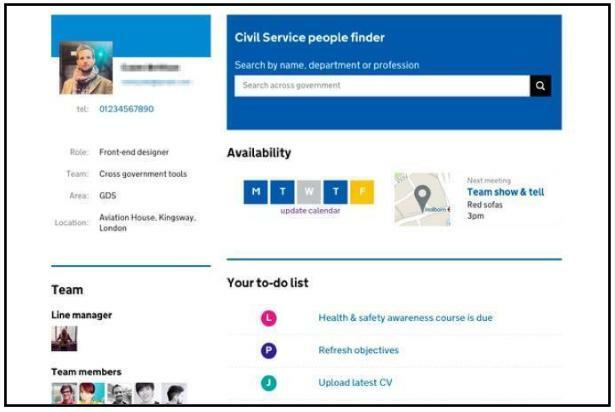 Civil Service Learning (CSL) is funding an additional programme of work focusing on ways to improve how civil servants do training and development, another vital part of every civil servant’s day-to-day work and another thing that would be improved through user-centric design. These changes will link up well with the big improvements CSL will be making to learning. There will be two teams working collaboratively towards a single goal, made up of individuals from DWP, CSL and GDS, and working from both DWP and GDS offices. This is great news. It’s exactly the kind of thing we mean when we talk about collaborative working between departments and the centre: it’s all about building the team and giving them time and space to think. Because together we can do more. Excellent to see a practical demonstration of the power of personal data stores to deliver personal tools and means of controlling the management of data about an individuals life, work and activity and how that information is shared and how it is used. Good to hear about this, I would argue that this is a good example of Digital Ways of Working ('Digital Working'). Hi, the systems currently in use in NPS are so antiquated it is embarassing. I have to spend time contacting partners to ask them to send me information in older formats and also opening e.g., .docx and resaving them as .doc so that colleagues can access the info. We are not permitted access to Twitter, Facebook, YouTube, Java never loads, useful websites are blocked, other websites don't load. Why is our default IE6? Why is using my laptop via WiFi quicker than using it on the network? Why do my Lotus Notes constantly fall over? Add to that VidCon that has a mind of it's own and you can see that I am pretty frustrated. Especially as other sectors of government appear to be using newer software !!! What I would like is the latest software, access to Skype so that I can facilitate peer group discussions and contact with colleagues across Dyfed Powys - we cover 55% of Wales and this would save time and lots of money! Please spare a thought for those of us in the NPS - we're still using Windows XP! I hope our IT review will enable us to align our services to a greater extent and increase communication with other departments. "DWP's internet filtering software" has stopped me viewing the video as well. "This action has been recorded" (i.e. attempting to view the video) it states, somewhat sinisterly. As a Digital Champion, I'm supposed to try to keep on top of digital developments for my office. Stephen - I am a big fan of much of what GDS do and have done. Which I sum up as the fact that you have changed the conversation regarding users, government use of technology (and its supply chain) and modern business models. That may sound trivial to some but when I was a Civil Servant things were so bad on all those fronts that the GDS era is an unbelievable achievement. But... this does bother me. You are talking there about tools that are easily available (in fact you already have some of them) to any organisation. I am not aware of even the biggest digital poster children - Uber, Netflix - building this kind of stuff for themselves - its such a commodity. I get the point about pulling data together across depts and the tools but with the right platforms you can do this anyway - either with configurations, APIs, pre built integrations and plug ins or just links if its not worth it. What do I run this aspect of my business on? - timesheet, expenses, pipeline etc - Salesforce. Document management, doc workflow rules etc Box.com, email, productivity, collab - google and 365, company sentiment and engagement - know your company, Video calls G2M etc etc. We haven't got into our deeper HR applications yet but there are any number of cloud based HR apps that will work well for us. I understand your point that GDS doesn't want to build everything but I think the point is more that government shouldn't be building everything rather than just GDS. For me the question is not which dept should be doing it but whether you should be doing it at all. There is so much that the civil service does that is different from other organisations that needs your best design and development skills I am just struggling to see how this fits into the "different" category. Happy to be put right if I have got the wrong end of the stick. Thank you Jan and Ash - you’ve both asked about access to the code for the project. It’s very much a ‘visual' prototype at the moment, built around GDS’s design patterns and page templates, with only very limited functionality - you probably won’t get a huge amount of insight from our code, and it’s far from ‘production ready’. However we are working in the open (see https://github.com/crossgovernmentservices/prototypes) and will continue to do so, with the usual caveats around sensitive or secure functionality. As we move into ‘alpha’ development, I expect this will get a lot more interesting. In Revenue and Customs we cannot access youtube, so cannot see the video embedded in this blog about what tools Civil Servants need! Thanks for your comment Martin. I’m sorry you can’t see the video from your office computer - this isn’t an uncommon problem, and is something my colleagues in Common Technology Services are working on (see their post about access to internet services at https://cabinetofficetechnology.blog.gov.uk/2015/03/10/the-internet-is-a-good-thing/ for example). Maybe if there’s significant interest in this project in HMRC, we could arrange to visit one of your office to demonstrate it in person some time? From memory, I think HMRC users have access to Chrome - if you paste the address of this page into Chrome, you should find the video works. DWP is just the same with the bulk of staff unable to view video from outside of the Dept and only a few internal ones. I expect that the digital technologists DWP are hiring will have less restricts on their specialist roles. I understand that the DPW communications team would be able to convert this video into a format that can be displayed on DWP's intranet, so if GDS considers this an important thing perhaps they could get in touch. Hi David, if you drop me a line at louise.duffy@digital.cabinet-office.gov.uk and let me know what format you need the video then we can send it on to you. Thanks.